A young boy named Satoshi embarks on a journey to become a "Pokémon Master" with his first Pokémon, Pikachu. Joining him on his travels are Takeshi, a girl-obsessed Rock Pokemon Trainer, and Kasumi, a tomboyish Water Pokémon Trainer who may have a crush on him. 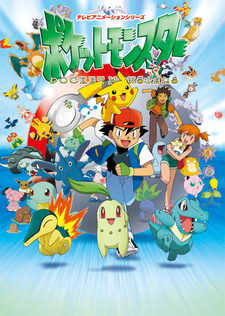 Satoshi and Co. end up traveling through various regions, including Kanto, the Orange Islands, and Johto, and then enter the Pokémon League competitions there. Along the way, they run into many confrontations with Musashi, Kojirou, and Nyarth, a trio of Pokémon thieves who are apart of an evil organization called "Team Rocket". But everytime Team Rocket try to do their evil deeds, they fail thanks to Satoshi and his Pokémon.